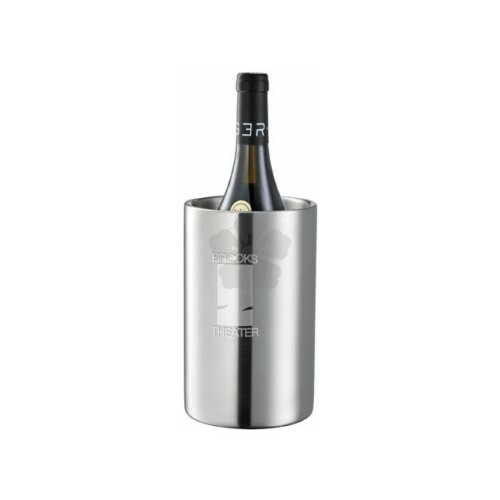 For a stylish way to chill your beverages, our Custom Branded Wine Cooler is a stainless steel double wall wine cooler, that will keep your wine cold without adding ice. 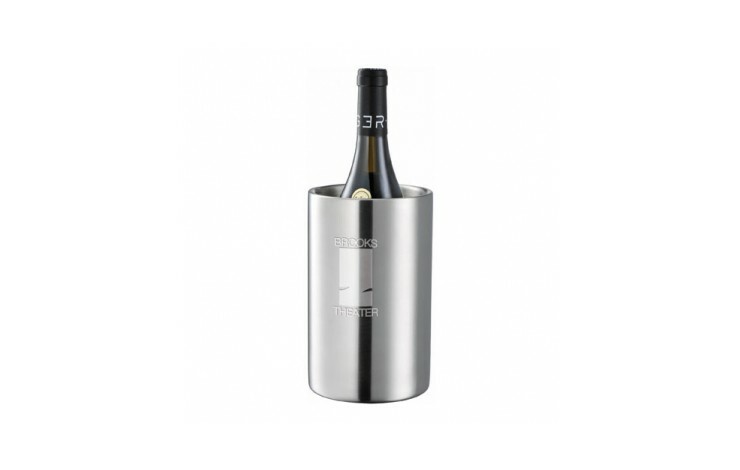 Engraved with your design, can also be printed POA, for a sophisticated promotional product. This makes a wonderful executive gift. Laser engraved for a longer lasting finish. No need for ice - keep your bottle dry!